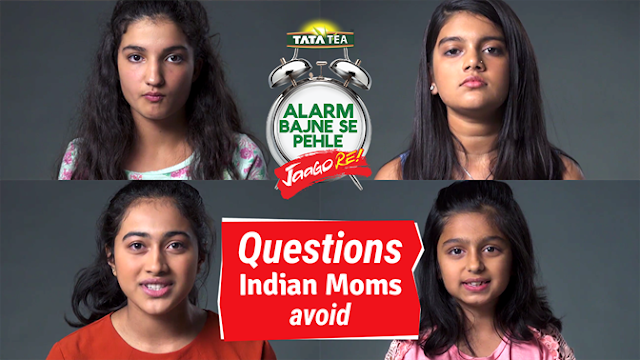 Just weeks after the launch of the Tata Tea Jaago Re 2.0 campaign “Alarm Bajne Se Pehle Jaago Re”, that urges people to act before unfortunate incidents occur, Tata Tea Jaago Re has released yet another powerful film on International Women’s Day raising a hard-hitting point that if we, the current generation, react only when issues escalate, then the generation that comes after us will bear the brunt of our reactionary behavior. The thought-provoking video is a montage of questions most young girls have asked their mothers at least once in their lives but never got a clear answer to. The ad film opens with girls asking questions like ‘Why does grandma not want you to work after marriage?’, ‘Why can’t I get out of the house after 6pm’ and ‘Why did you walk faster when that man teased you?’ and more. As these questions are about issues their moms face, the child’s vulnerability, our tendency to react only when we become the victim, and the gravity of the issue suddenly becomes clearer. This International Women’s day, Tata Tea Jaago Re strives to draw attention towards the fact that if we choose to ignore, and don’t act now then the future generations will suffer. The brand endeavours to make the consumers pledge to starting acting now to create a safer and better society for our children.